A child sized bamboo toothbrush with bamboo fibre soft bristles! Available with buy more pay less options. 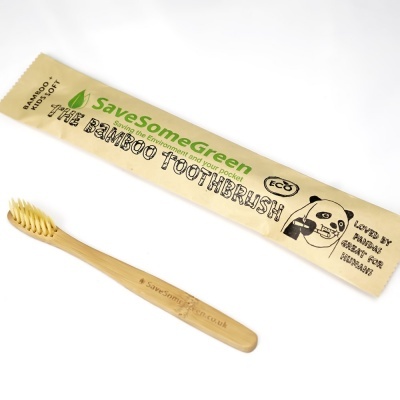 Kids bamboo toothbrush with soft bamboo fibre bristles! BPA free and vegan-friendly. From Save Some Green, a UK company. These toothbrush handle will rot down to nothing, causing little impact to the environment, with the added bonus of being BPA free. This toothbrush is child sized with soft bristles.